Our product range includes a wide range of tl01 upvc window lock, nbcl001 small crescent lock, nbcl004 crescent lock, tl02 touch lock and tl03 prima touch lock. We are one of the well-known manufacturers and suppliers of UPVC Window Touch Lock. 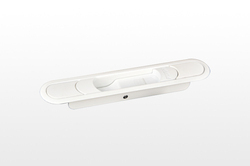 The offered un-plasticized poly vinyl chloride window touch lock is specially designed for the sliding windows and sliding doors. Our supplied un-plasticized poly vinyl chloride window touch lock is highly acclaimed and liked by the clients, due to the hard wearing construct and durability. 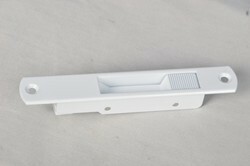 The offered un-plasticized poly vinyl chloride window touch lock is available at very reasonable rates. We are one of the leading manufacturers and suppliers of Small Crescent Lock. The offered crescent lock is largely used for locking the windows in homes and offices. Our supplied crescent lock is made from high grade metallic alloy for ensuring longer service life and durability. The offered crescent lock is available at very competitive market selling rates. We feel proud to introduce ourselves as the well-known manufacturer and supplier of UPVC Window Crescent Lock. The offered un-plasticized window crescent lock is commonly used for locking the windows. 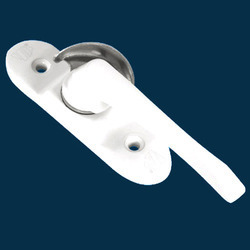 Our supplied un-plasticized window crescent lock is useful for both the domestic and commercial applications. The offered un-plasticized window crescent lock is very affordable in price. Looking for UPVC Window Locks ?